Tony Lawrence's Coins & Stuff: What to do with Wheat Ears? A friend messaged me on Facebook last night. There is a lot more to say that I didn't want to type into a chat app, so I thought I'd devote today's post to that subject. First, yes, Wheat Ears have value. I checked Jake's U.S. Coin & Currency Buy Prices and found them offering 3 cents each for unsorted common date wheats. By the way, I'm not specifically recommending that particular buyer and I'm not NOT recommending them either. Three cents is a typical price for average circulated Wheats right now. That's not a price for culls, of course. Culls are damaged coins: bent, holed, scratched, corroded, scrubbed, completely worn away or otherwise undesirable. Nor is it a price for Wheats that look like this. Brand new looking Wheats (Uncirculated or nearly so) are worth much more. Before you start calculating your profits, remember that although they are pretty light individually, a hundred dollars face value in these pennies would weigh about 68 lbs and shipping that much weight is not cheap. That could really eat into your 200% profit, couldn't it? However, earlier dates are worth more and some dates are worth a lot more. If you have a big old jar of wheat ears you've been putting away for ages, you probably do have some of those earlier dates. Your chances of having any of the high value dates are slim (that's why they are high value! ), but who knows? You might as well look, right? But you do have to know about grading. An XF coin can be worth much, much more than a VF of the same date. That's where http://www.pcgs.com/photograde comes in. You can get an excellent idea of your coin's grade by comparing it to the photos there. Be conservative; if you aren't sure, assume the lower grade. You can also check prices at PCGS. Those are typical selling (not buying) prices for certified coins - coins that have been examined by experts, graded, and encapsulated for protection. If you had a high value coin, it could be worth having that certification, but it is not cheap at all. Will these Wheats be worth more later? Yes, they probably will be. But there is also a possibility that some of those 3 cent coins are actually worth more right now. There's actually more than just dates and mint marks that you could look for if you are adventurous. There are double dies, repunched mint marks and all sorts of other varieties and errors that can turn a 3 cent coin into something valuable - sometimes a lot more valuable. Learning to identify these takes more than just sharp eyes and looking at a site like http://variety-vista.com/ or coppercoins.com - you'll need to educate yourself on such subjects as identifying worthless "machine doubling" (see http://www.doubleddie.com/144822.html ) and you'll probably want to invest in good magnifiers or even a microscope if you start getting serious about this sort of searching. 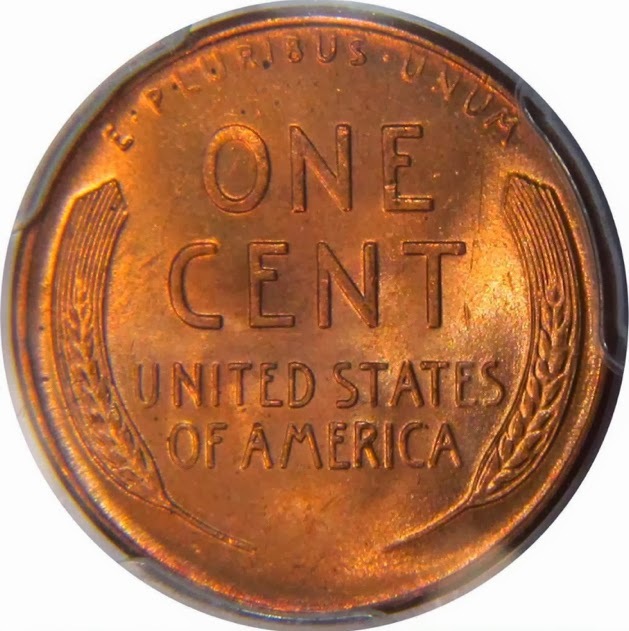 Keep in mind that these sort of rarities extend beyond wheat ears: they can be found in all pennies and indeed in all the coins you have in your pocket. In addition to the online resources, I recommend the "Cherry Pickers Guides" which you can find at Amazon (I have not given a link because new editions may be available soon).